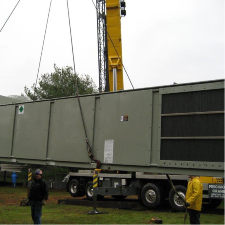 While the projects below were chosen to illustrate the range and diversity of installations that we've partnered on more recently, Highland Mechanical has been completing projects of every size and scope since 1992. Please contact us to see how we might be the perfect partner for you in your next project. Please also visit our Project Gallery page for photos of some of our recent work. 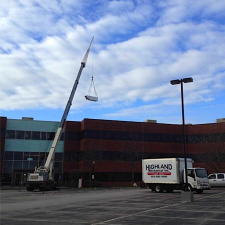 100K SF complete office renovation in which Highland Mechanical provided design, equipment provision and installation for all ductwork, heating and cooling equipment, and building automation systems. Facility of a nationally recognized fine clothing manufacturer. 5K SF medical clean room in which Highland Mechanical provided design assistance, equipment provision and installation of clean room specialty heating and cooling equipment, HEPA filtration systems, and ductwork. Facility of a nationally recognized medical goods R&D company. 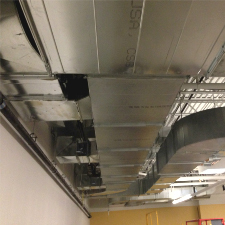 10K+ SF cluster of 13 Audio/Video recording and editing rooms in which Highland Mechanical provided design assistance, provision, and installation of ductwork. Facility of a internationally known audio equipment manufacturer/brand. 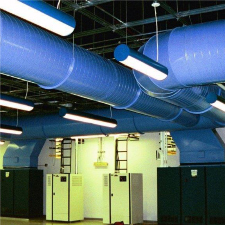 15K+ SF computer server room in which Highland Mechanical provided and installed the plan & spec ductwork and supplementary cooling systems required to keep data center computer systems from over heating. 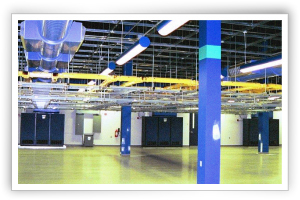 Facility for a computer data center/server farm/co-location provider. 3K+ SF Audio/Video recording/filming studio in which Highland Mechanical provided and installed the plan & spec ductwork and heating and cooling equipment. Facility of a internationally known sports shoe manufacturer/brand. Please contact us for additional information about our services and project experience. Highland is amazingly responsive and has demonstrated its commitment to us as a customer time and time again. 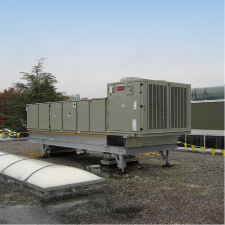 Whether it is installing new systems, replacing worn out parts, or doing preventive maintenance, we rely on them and have nothing but high regard for them. © 2018. Highland Mechanical, Inc. All Rights Reserved.